Clearly envious of the regular stream of complimentary Happy Meals arriving at Paula Bennett’s Parliamentary office (Paula tells us she has already managed to collect seven out of the eight of the new Ice Age figurines), Crusher Collins has attempted to go one better than Bennett’s McJobs scheme with a themed initiative of her own – McPrisons. Initially attracted by the idea of locking up prisoners in shipping containers, but frustrated by the lack of decent kickbacks from industry players, she hit upon the idea of locking them up in McDonald’s “Future Space” play equipment after seeing a toddler stuck in one of the transparent bubbles while driving through Newtown last week (pictured). When questioned on the security of the untested plastic play equipment the minister responded that “deep ball pit moats around the periphery should keep prisoners safely contained” and with regard to rehabilitation, “the additional presence of Hamburgler should act as a constant reminder that crime doesn’t pay”. Clearly envious of the regular stream of complimentary Happy Meals arriving at Paula Bennett’s Parliamentary office (insiders tell us she has already managed to collect seven of the eight of the new Ice Age figurines), Crusher Collins has attempted to go one better than Bennett’s McJobs scheme with a themed initiative of her own – McPrisons. 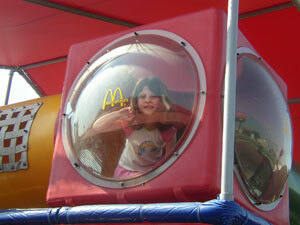 Initially attracted by the idea of locking up prisoners in shipping containers, but frustrated by the lack of decent kickbacks from industry players, she hit upon the idea of locking them up in McDonald’s “Future Space” play equipment after seeing a child (pictured) stuck in one of the transparent bubbles while driving through Newtown in her Crown limo last week. How about a McDs in every prison Judith? So the crims get so fat they won’t be able to climb in wondows any more when they are eventually released. These constant infantile attacks on Ms Bennett really are getting tiresome. Harden up Tim. She’s not up to the job, everyone knows it. No need to have a cry about it, you lot knew this when you appointed her. Tim, you have a lot of spare time. How about driving the car crusher Collins wants for boy racers cars and using it to crush the containers of recalcitrant prisoners. Silly idea? Yes, but no sillier than hers, and that is the point. It was an attack on Collins’ impoverishment when it comes to implementing real solutions Tim. As another underpowered thinker, Bennett just got caught in the crossfire. AYB. Yes well spotted. Sian Elias is a breath of fresh air but imagine the fuss from SSTrust etc who depend and feed on outrage. I wonder if Garth McVictim could explain to us how exactly the suggestion is corrupt, or did he just roll his nasty words dice again? I’ll probably get booed from the cheap seats, but I’d have expected better from Simon Power. Honestly. His was one of the names I had on the positive side of the ledger in terms of Ministers not just able to handle their portfolios but likely to excel. Perhaps he’s been told not to look too smart, so as not to show up Collins. Or perhaps The Garrotte challenged him to a pssing contest and Simon came up short. Either way, a disappointing and particularly narrow-minded response. Is it really any different from the multiple times that Key has suggsted what the Reserve Bank Governer should do with interest rates? Power telling the Chief Justice to piss off and stand ready to obey the orders of her betters (the geniuses which comprise the National Cabinet and, before that, the Labour Cabinet) is akin to the Reserve Bank Governor telling the Minister of Finance he’s about to crash the economy and English dismissing him as someone with no right to an opinion, let alone a constitutional and moral duty to issue such a warning. Not that it’s right for politicians to try a bit of “nudge nudge, wink wink” to public servants, but they all do it. 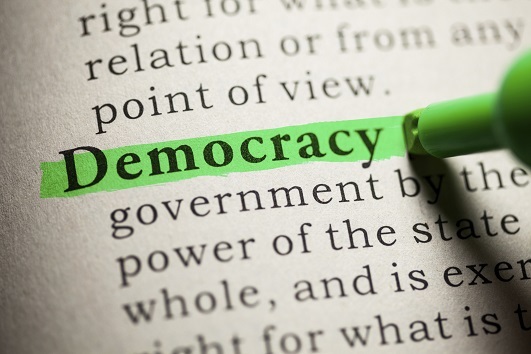 Most public servants ignore it. Certainly successive Governors have. But when a senior judicial officer quite rightly enters the debate as to whether her and her fellow judges ought to be legislatively bound to stuff our prisons to bursting, and gets told to zip it and sit in the corner it’s not only damned rude, it’s reckless. Does Judith Collins receive kickbacks? Its actually not as silly as it sounds, from McDonald’s perspective anyway. I mean, what’s to stop the company from entering into a series of PPP’s with National to build a three storey building in every suburb – one floor for its day-to-day business, another for its training centre for our yoof, and the top floor for the prisoners – McDonalds, McKindy, and McNick. BLiP, in the basement they could have McMorgue (saves on the carbon miles) and another floor for McDoc’s and McMeds, and yet another for McGyms. R O T F L M A O – I suppose this is old news to youse but good work by The Standard keeping the word in common usage.